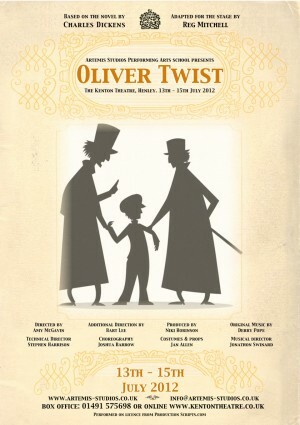 Artemis Studios Performing Arts School presents a fabulous adaptation of 'Oliver Twist'. This adaptation was written by Reg Mitchell and is produced by Artemis Studios. Gritty and dark, with an original score written especially for the event! Perfect for young fans of Dickens, or those who simply love the story. Featuring a cast of young actors (supporting roles) and young adults (principals) who are all in training for a professional career in performing. Tickets will be available directly from the theatre box office from April.